Government Authority located in Pennsylvania; USA based organization looking for expert vendor for captioned telephone relay services. (1) Vendor needs to provide captioned telephone relay services users receive both the voice to listen to the phone conversation and word-for-word captions of what is said to them. - CTRS combines the spoken word with the printed word visible on telecommunications equipment during a telephone conversation. - Telephone transmission services that allow a person with a disability to engage in communication by wire or radio with a hearing individual in a manner that is functionally equivalent to the ability of a person who does not have a disability to communicate using voice communication services by wire or radio. - CTRS users to place all network call types supported by TRS which would, e.g., include time division multiplexing or TDM-based calls as well as Internet Protocol or IP-based calls. - Single toll-free access telephone number for CTRS users, all calling party calls to the call center shall be toll-free, allow access to the call center via “711” abbreviated dialling, relay local, intrastate, interstate, and international calls that originate or terminate in state, appropriately reroute any TRS calls that are not CTRS calls, including but not limited to Voice-Carry-Over (VCO); Hearing-Carry-Over (HCO); Speech-To-Speech (STS); Video-Relay-Service (VRS); and Teletypewriter (TTY) calls, or any other non-CTRS call. - CTRS in English and Spanish for users who use either English or Spanish as the language of preference for the relay call. - Maintain and publicize a website and toll-free service with user and potential user information and contractor contact information. 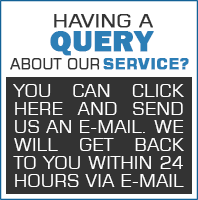 - Maintain and open for operations 24 hour per day, 7 days a week including all holidays, a customer service contact phone line for customer complaints and inquiries. (2) All question must be submitted no later than April 04, 2019. You can either pay for Single RFP/Bid document or Subscribe with Monthly Subscription for whole	Call Center and Answering, Medical Transcription and Others	Category/Categories. If you will obtain monthly subscription for Call Center and Answering, Medical Transcription and Otherscategory/categories, you will be able to access all the RFPs from that Category. Here are the Monthly Subscription offers. So, subscribe for Monthly offers and get rid of Individual RFP payment.